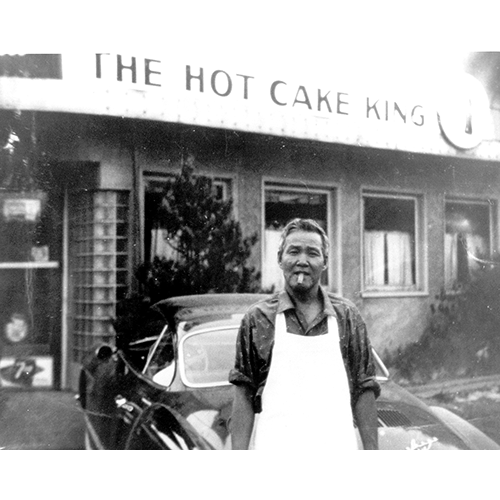 Henry Jang, the Hot Cake King, takes a smoke break in the 1950s outside his popular restaurant at 73rd Avenue NE and Bothell Way. Jang advertised dollar-sized pancakes, "all you can eat." Photo courtesy of Gary Jang.